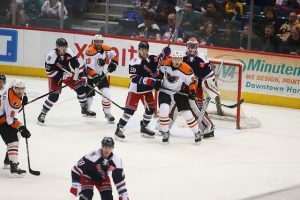 Hartford, CT – Phil Varone struck with just 18 seconds remaining in the third period for a dramatic and late tying goal on the road but eventually the Wolf Pack prevailed in overtime 3-2 on a winner for Vinni Letiteri. Misha Vorobyev (9th) and Varone (22nd) lit the lamp for the Phantoms who held a 1-0 lead into the third period. But the resilient Wolf Pack rallied for a pair of goals in the third period just 59 seconds apart by Dan DeSalvo (5th) and Boo Nieves (8th) to turn the tables on Lehigh Valley and force the visitors to play come-from-behind hockey. 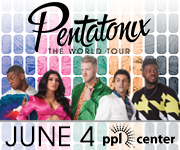 Lehigh Valley can now finish off its quest for the Atlantic Division title with just one more win on Sunday afternoon at the Providence Bruins in the team’s last away game of the year. The first-place Phantoms record stands at 44-19-10 for 94 points with three games remaining in the regular season. 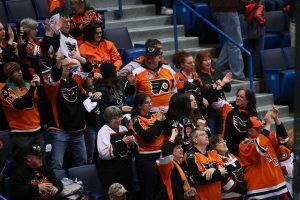 The team was supported by a large turnout of Phantoms fans who trekked over four hours from Allentown on the team’s Phan Bus to cheer for Lehigh Valley on the road. Vorobyev picked off a clearing try late in the first period setting up an unassisted strike from the right circle between the legs of Hartford goalie Marek Mazanec for a 1-0 lead. Dustin Tokarski and the Phantoms prevailed through a Wolf Pack onslaught in the second period in which the hosts out shot the Phantoms 16-4. Dan DeSalvo blasted a drive off the crossbar and Brandon Crawley fired a shot through the left arm of Tokarski that was swept away practically on the goal-line by defenseman David Drake who had played his collegiate games in this building for the past four years while a member of the University of Connecticut. Hartford broke through in the opening moments of the third period with Boo Nieves nudging the puck from the left corner back to DeSalvo who carried towards the higher slot for a quick snipe towards the net tying the game at 1:09. The Wolf Pack raced away while shorthanded and Cole Schneider and Boo Nieves capitalized on their 2-on-1 with Nieves striking from the bottom of the right circle when he was almost running out of room. 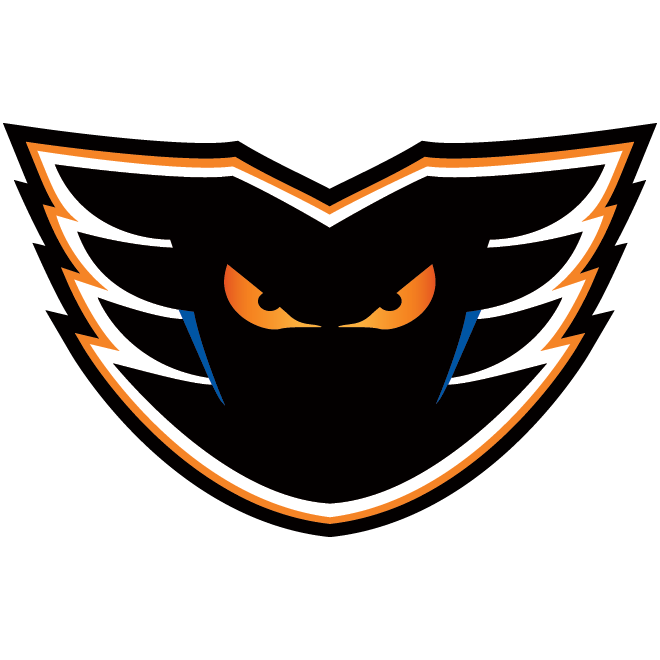 The go-ahead goal, just 59 seconds after the equalizer, was only the fourth shorthanded marker allowed by the Phantoms this season which is tied for the fewest in the AHL. 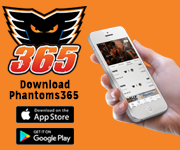 The Phantoms surged back into contention with several quality chances and after Brandon Crawley was called for a tripping penalty with 1:09 left it was time for Lehigh Valley to strike. Their 6-on-4 goal with just 18 seconds remaining was a top-shelf drive from the upper right circle by Varone that was assisted by Greg Carey and T.J. Brennan. The goal was the first time this season the Phantoms had scored an extra-attacker goal in the closing seconds to even the score. 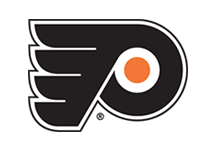 The team’s only other 6-on-5 goal came on December 30th when Oskar Lindblom scored late in a two-goal deficit. 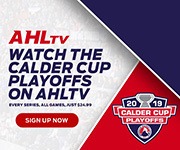 But in overtime, Hartford’s Chris Bigras streaked towards the net and was slashed by T.J. Brennan setting up the Pack’s 4-on-3 overtime winner from the bottom of the left circle by Lettieri (22nd) at 0:51 into the extra period. The Wolf Pack had 5 wins in overtimes or shootouts against the Phantoms this season. Hartford out shot the Phantoms 30-22. Both teams were 1-for-3 on the power play trading late man-advantage markers in the closing seconds of the third and the opening seconds of overtime. 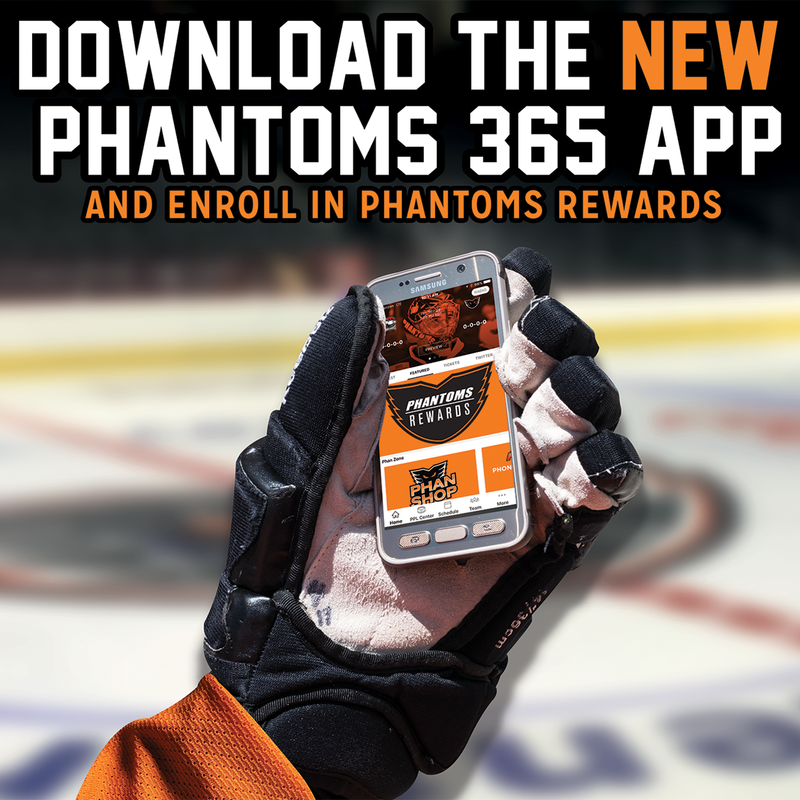 The Phantoms’ road-trip concludes Sunday afternoon at 3:00 p.m. at the Providence Bruins. 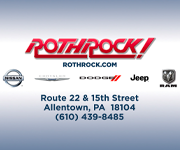 1st Period-1, Lehigh Valley, Vorobyev 9 16:10. Penalties-Lindgren Hfd (slashing), 4:46; Drake Lv (tripping), 13:08. 2nd Period- No Scoring.Penalties-Drake Lv (high-sticking), 14:48. 3rd Period-2, Hartford, DeSalvo 5 (Nieves), 1:09. 3, Hartford, Nieves 8 (Schneider), 2:08 (SH). 4, Lehigh Valley, Varone 22 (Brennan, Carey), 19:42 (PP). Penalties-Crawley Hfd (tripping), 1:39; Crawley Hfd (tripping), 18:51. OT Period-5, Hartford, Lettieri 22 (Bigras, Schneider), 0:51 (PP). Penalties-Brennan Lv (slashing), 0:30. 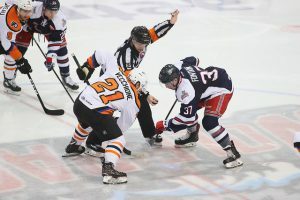 Shots on Goal-Lehigh Valley 6-4-12-0-22. Hartford 4-16-8-2-30. 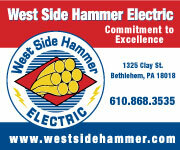 Power Play Opportunities-Lehigh Valley 1 / 3; Hartford 1 / 3. 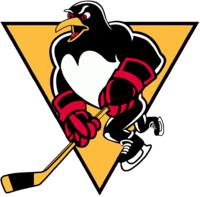 Goalies-Lehigh Valley, Tokarski 19-8-7 (30 shots-27 saves). Hartford, Mazanec 10-6-1 (22 shots-20 saves). Referees-Nick Gill (65), Olivier Gouin (54). Linesmen-Kyle Richetelle (47), Kevin Briganti (39).